2015 continues the overall predicted outlook of being a drier-than-average year for most of NZ. Exceptions will be wetter Inland Otago and Southland, even the parts that experiencing extended summer dry conditions, but whose autumn-to-spring months are likely to be wetter than average. The North Island may only receive half its annual rainfall average in total this year, and the South Island about 85-90%. For the North Island, Hawke Bay gets notable rain in both March and June, with Taranaki possibly the driest North Island district for the year with only two or three above-average rain months in total. March, June and October may be the averagely wettest North Island months. For the South island, the wettest months of the year may be April, August and December, with May and September the driest. The driest districts overall in the SI this year may be around the top. Both islands continue into a sunnier than average year. For the North Island, sunnier-than-average April and May bodes well for winter pasture. Cloudier-than-average June is followed by sunnier July and August. Spring brings less-than-average sunshine, but above average daily sunshine hours returns for November and December. Overall the North Island will enjoy 7 months with above-average sunshine, 4 cloudier months and 1 around average. The South Island gets 3 months cloudier-than-average, being April, June and August. After March, sunshine amounts alternate each month between above and below average. For both islands the sunniest may be May, with October the cloudiest month for North Island, and June the cloudiest for the South Island. Overall the year will be average-to-warmer, largely due to above-average autumn and winter temperatures. Autumn and winter are milder for most. April 7-18 brings a cooler spell due to the passage of planet Mercury across behind the sun, focus midway around 12 April, with temps warming again after 20 April. Any snow will not last long. Warmer-than-average months for the North Island may be March, May, June and December, and for the South Island, May, July and December. The South Island may get a cooler September. Hanmer to Oamaru may be cooler than the rest, in months between summer to mid-autumn then from late winter to early spring. Early summer 2015/16 may be unusually warm. 2015 was always going to start with a weak or neutral El Nino condition and bring in a weak cyclone season. On p139 of this year’s almanac we listed the strongest cyclone in the Pacific to be about 12-13 March, likely to deliver rain to most of the North Island with not too much wind except on coasts, passing East Cape as a depression around 16th-19th. That this arrived on cue bodes well for the next prediction of possibly the last cyclone of the season, currently in progress as ex-cyclone Nathan, which should work its slow way south, remnants of which may reach NZ about 7-10 April delivering rains first to the upper north. Absence of El Nino brings active cyclone seasons. But El Nino has been neutral to weak since late last year, which creates weak cyclone activity. Consequently this year’s cyclones have had little impact in Australia. But El Nino will be in the news around mid year and will bring a drier-than-normal winter for some, particularly the lower half of the North Island until October. Rain at or near the end of March and into the first few days of April, brings more relief to drought areas. Drought this year was not likely to be long term nor widespread. NIWA's outlook for January - March https://www.niwa.co.nz/seasonal-climate-outlook-january-march-2015 also had called for ‘near average’ for both rain and temperatures for Canterbury and Marlborough, and the next NIWA outlook from March-May https://www.niwa.co.nz/seasonal-climate-outlook-march-may-2015has again called for ‘average-to-above’ rain in currently dry areas. It means that even our national climate office, by not mentioning “drought” anywhere has also not expected one to occur anywhere during 2015. Yet the media has been almost silent on this, preferring instead to sensationalise the idea of global warming afflicting Marlborough and Canterbury . Droughts in NZ occur about every 4-5 years, and the next one of significance is not at all probable before 2017. The second half of April should be wetter than the first half but all May should be considerably drier-than-average for the whole country. Alternation of wet and dry months will enhance pasture growth. A wetter and warmer-than-average autumn for most, except the top of South Island, is followed by a rather mild winter. In the last 10 days of April snow is likely for Queenstown, then May brings snow to the South Island. The Central Plateau gets a dose of snow at the end of April that will quickly disappear. The North Island may be too warm and too dry for useful snow until the end of July, then little or none until mid August. In the North Island temperatures should stay mild until the end of July. 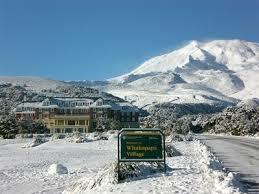 August to October are cooler months, but may be too late for the North Island ski industry. Weather trends are dictated by cycles of sun, moon and planets. When the moon comes closer to the earth each month it is called perigee. Full moon in winter brings snow, more so when perigees and full moons combine. But this combination won't happen this year until late July. Compare that to the last week in June 2013 for this combination, which brought enough snow in following days to establish a reasonable snow base. For 2015, full moon/perigee combos must wait until August and September.